What a fantastic evening at the White Cliffs “One Day Closer”, and what a great job the organisers did. I think about 300 enjoyed themselves. Well done White Cliffs, as always. Bit of rain about in the last few days, If you’re heading along the Cobb highway, just be careful down where the road works is happening, probably a few deep tracks. Back to the round up for the next week or two, we head to the “inside country”. If you’re near Denman next Saturday, the Community Markets are on, and they will look after you. Mind you we were through there a week or 2 back and it’s just as dry as everywhere else, not good. Now the 12/13th. 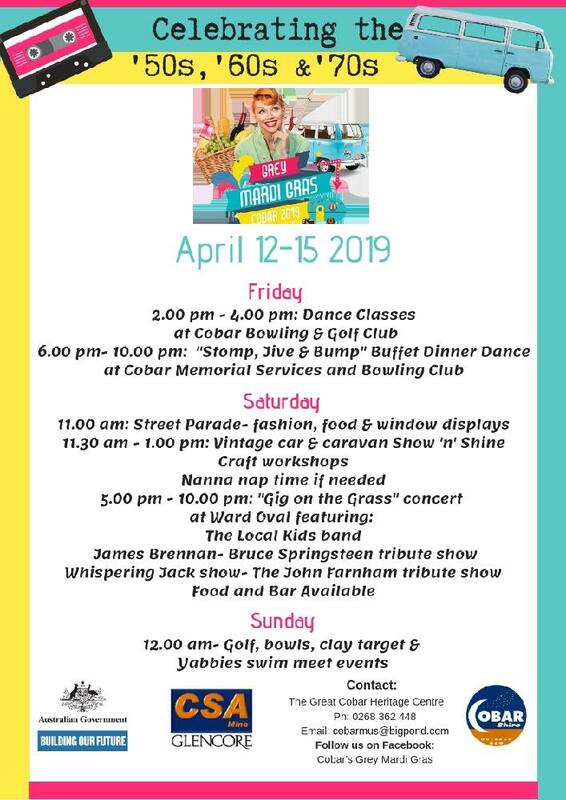 sees the “Cobar Grey Mardi Gras”. Remember the attachments, a really big couple of days at Cobar, you’ll enjoy it. If you go to Cobar, you won’t make it to the “Outdoor Movie night” at the Coomealla Golf Club, it’s on the evening of the 14th.. Check with those lovely ladies at the Wentworth Visitors Centre, they’ll point you in the right direction. And they’ll tell you all about the “Wentworth Mounted Games”. This sounds like a fun weekend, and it’s for everyone. And would you believe there’s an Easter Garage Sale on the 21st. in Wentworth as well, take the lot in. Hang around that area, because, the big Pooncarie 2 Day Gun Shoot is on the 26/27th. It brings shooters from hell west and crooked. A really recognised day. Your other equally as good alternate, is to be at White Cliffs on the 27/28th. for their Gymkhana and Rodeo, they’re on a roll up there so it will be good. If you haven’t ventured to “the outback” as yet, the “Merriwa Cup” is a feature day down in that country. Same hospitality, different location! A “peek preview” of May happenings! Pooncarie Show 4th. May. Topar “Gymkhana when there’s no Gymkhana” 18/19th. May. More about that later. Stop by in our little town, we’d love to see you. 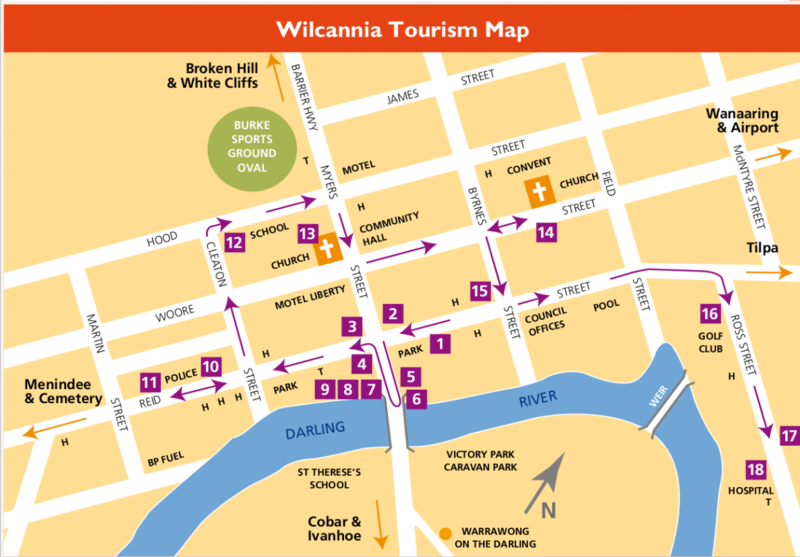 Remember Wilcannia is now an “RV Friendly Town” and have full waste disposal facilities for your caravan etc. and have filtered water available. Grab one of our brochures from any of the shops and enjoy a poke around. And speaking of our brochures, I’ve posted packets off to some towns, if you would like more please toodle across the keyboard and I can send you some, no problems. Till we meet again or I see you in the street, have a good one. Cheers Bill Elliott. WCTA.